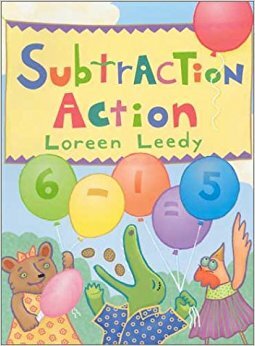 Loreen Leedy ​(Florida) has authored and illustrated over 40 picturebooks, and over a quarter of them focus on mathematical concepts. Specifically, these are '2 x 2 = Boo! 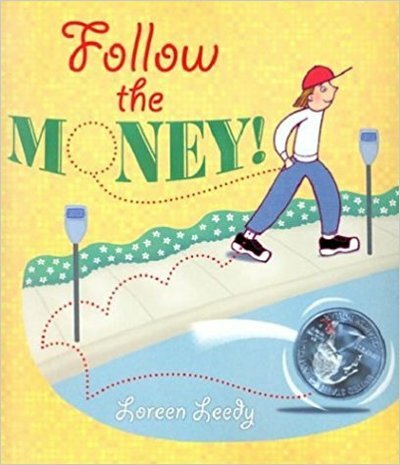 ', 'Follow the Money! 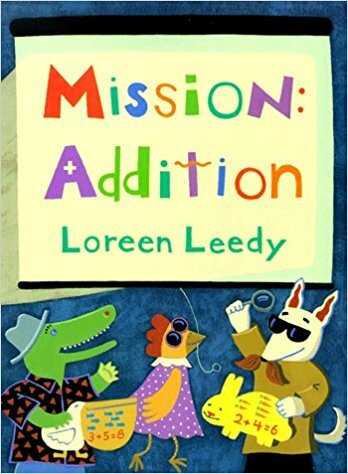 ', 'Fraction Action', 'The Great Graph Contest', 'It's Probably Penny', 'Mapping Penny's World', 'Measuring Penny', 'Missing Math', 'Mission Addition', 'The Monster Money Book', and ‘Subtraction Action'. To learn more about these stories and find out where you can purchase them, simply click on their covers below. We hope you enjoy reading Loreen sharing her experience of working on these incredible mathematical story projects with you! As a teenager I volunteered at a zoo and was fortunate enough to scoop up llama poop as well as get pawed by a tiger through a gap in a fence. Fortunately the tiger did not have his claws out and I learned to keep well out of the reach of large carnivores and other wild animals. I can get obsessed with finding out information on a particular topic—I search for more, more, more—and then start looking again. This inevitably leads to having far too much to fit into one picture book so then I have to cut, cut, cut! It is sad, though. ALL the information wants to be inside of a book. Art and craft supplies are a weakness of mine so I have drawers and shelves full of paints, brushes, papers, fabrics, beads, threads, and more, plus zillions of tools including at least 10 different types of scissors, even more varieties of pliers, a glass cutter, a frame stapler, and so on. You have a cat, named Knickers! How old is she? What are some of the funniest / cutest things she does? We adopted Knickers from a rescue group and she is now about 14 years old. Every day she meows at us until we make her a “fort,” which is a blanket draped over the sofa. She crawls underneath to snooze and sometimes stays all day. She also likes to play “cat hockey.” Instead of putting dry food in her dish, we toss out one piece at a time for her to chase around on the tile floor, pounce on, and eat. Her fur is unusually soft like a rabbit’s and she loves to have her head scratched. If you try to stop too soon, she quickly bats at your hand to keep the “scratchies” going. 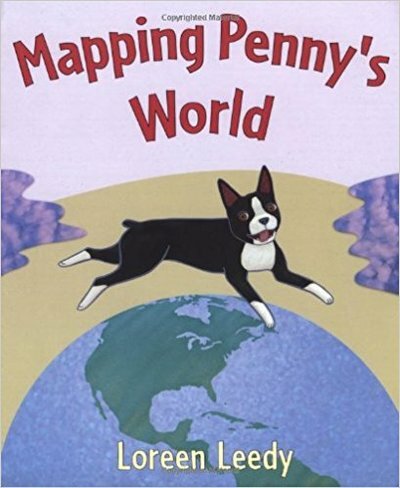 You have authored and illustrated over 40 picturebooks, over a quarter of them focus on mathematical concepts. What inspired you to write picturebooks with a mathematical focus for young children? The suggestion to create math picture books came from an editor who said there was a lack of them in the marketplace. My first reaction was, “Me…math?” After thinking about it, I realized how essential it was to my work, from counting words in a manuscript to measuring page sizes for an illustration to doing the bookkeeping for my freelance business. Math was there for me like a faithful friend that I hadn’t appreciated before. Could I create books for children that would give a friendlier introduction to the subject? That would be satisfying and a bit of a benevolent revenge. The creative possibilities have also been an inspiration, because math is so abstract, the accompanying imagery can be almost anything. For example, the number eleven can be illustrated with balloons, elephants, or space aliens, whichever seems to be the most suitable. ​On average, how long did it take you to work on each of these mathematical picturebooks? Most have taken about five or six months to write and illustrate. But occasionally a book has taken much longer. 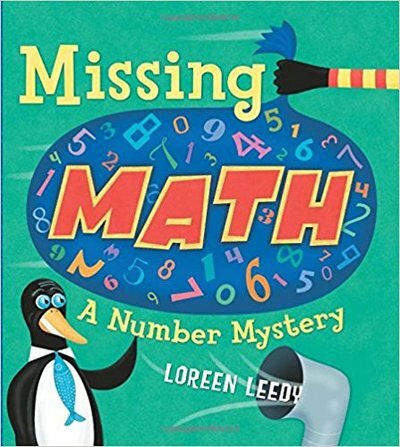 'Missing Math: A Number Mystery' had to be rewritten several times over the course of a few years before an editor agreed to publish it. The general notion of numbers disappearing from the world went through several different storylines, characters, and settings before I could finally complete the book. ​You have created a range of characters across your mathematical picturebooks, anything from human to non-human characters (e.g. a talking frog, talking coins, monsters, etc.). You have also used both real-world and fantastical settings. Did you find any particular type of characters / settings lend themselves more easily to writing mathematical stories? A book’s illustrations are so important and unusual characters and settings open up many options for drawing and painting something unique. Readers appreciate novelty (as does this author-illustrator) so instead of what’s ordinary, why not have a skeleton for a chef or a quarter named George tell the story? There may be some readers who relate better to realistic scenarios but there are many who enjoy something more imaginative so it’s important to have a variety of books for children to choose from. Almost any characters or settings can work so kids should be encouraged use their particular favorites when creating their own mathematical stories. Building on what you have already explained on​ your website, what were some of the key stages that you went through in creating your maths picturebooks? I always have the specific math topic in mind first. As quickly as possible I want to settle on a good title so that people can easily find and remember my book. 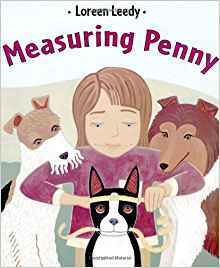 Ideally, the title has the concept embedded right in it, such as Fraction Action or 'Measuring Penny'. Then it’s time to make some sketches of characters that might work whether they are realistic, historical, mechanical, or imaginary. Seeing Symmetry is different because it doesn’t have characters and a story (though it does have a logical sequence) - instead, the various people, animals, and objects take center stage to show readers a myriad of examples of bilateral and rotational symmetry. The words and sketches for each page usually are developed together in the form of a dummy, which is a mock-up of the book with the cover and inside pages. Once the dummy is approved by the publisher, the last stage is making the illustrations, which I create on my computer with a painting program. Which of these stages did you find most challenging? Similarly, which did you find most satisfying? It totally depends - sometimes the words have to be revised again and again, which can get frustrating. On the other hand, it is a wonderful feeling when they finally “sound right.” At other times designing the characters doesn’t go well at first and I have to keep thinking of new possibilities. However, if I’m working on a sequel then the characters are already figured out so that makes it easier. The final artwork is always the most difficult and time-consuming phase of my books. The most satisfying moment is when the entire book is complete and I can hand it off to the publisher! Did you find coming up with a storyline / context to embed your chosen mathematical concept in difficult? Where did you draw inspirations from? One of my favorite techniques is to make several lists of options. On different pieces of paper I write down key words, possible titles, character names, simple story ideas such as “Billy plans a trip to the moon,” and doodle potential characters. Paging through a random book or searching images online on a topic can inspire ideas, too. Having a few thoughts written down inspires more to bubble up and usually certain ones begin to grab my attention. Once my brain likes an idea it seems to start producing related thoughts all by itself–all I have to do is record them on scratch paper or in a notebook. 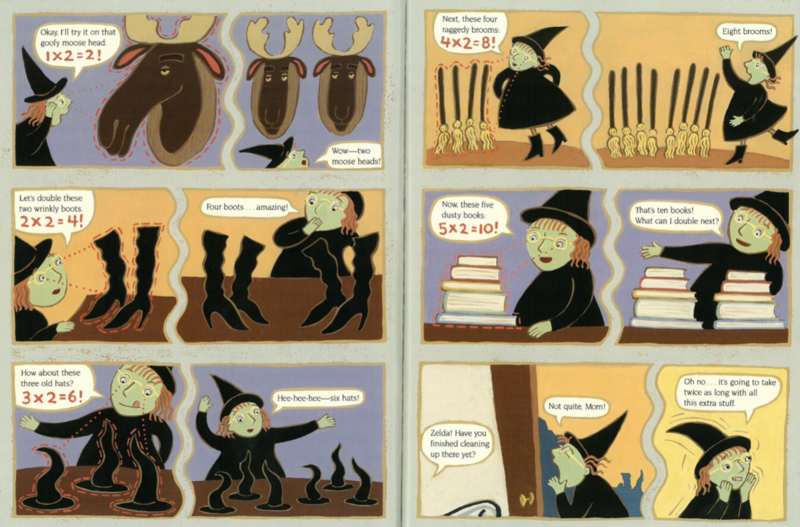 ​Most mathematical picturebooks have a team of author and illustrator working together. In your case, you authored and illustrated all by yourself. Did you find this a blessing or a curse, and why? ​When you planned for page illustrations (particularly those that are mathematical in nature), what did you have to consider? Accuracy is important of course, so if the text says “3 red balls,” the artwork must reflect that. In addition, there is only so much room on each page. The words need space and have to be an appropriately readable size. Each character takes up space as well as the pieces and parts of the setting. In addition, many of my books use dialog/thought balloons to insert words and images near the characters. The expected age of readers is another consideration because younger children generally require larger images without too many words. One way to avoid too much clutter is to have notes at the back of the book. I zero in on the main information to include in the story and art, plus incorporate humor if possible, and try to leave out everything else. In other words, simplify. How do you know whether the language used in your stories is age-appropriate for your target children? Do publishers normally have a word limit that you need to stick to? It is always a consideration. Most picture books do have at least a word or two that is above the reading level of the intended audience but this type of book is often read to children (at least at first.) If the context and/or artwork doesn’t help, a parent or teacher or another student can help define an unknown word. Many kids love to learn dinosaur names or other advanced vocabulary so it isn’t that much of a concern (within reason.) A picture book isn’t the right venue for verbosity so lengthy sentences or paragraphs are usually to be avoided. There often are word count limits for picture books, it can vary with the publisher. "I have often utilized animals as characters because they have more visual variety (wings, snouts, spots, tails!) plus any child could identify with one or more of the critters. When my books have included people they are as diverse in race, gender, age, and other characteristics as possible." ​On reflection, how would you comment on the diversity of the books’ characters in your mathematical stories? Would you have done anything differently in terms of the diversity of the books’ characters? One of the first book conferences I attended was in the mid 1980s and there was a new-to-me buzzword making the rounds. Though I attended school with only a few minority students, the word “multicultural” made total sense to me immediately and has always been a consideration. I have often utilized animals as characters because they have more visual variety (wings, snouts, spots, tails!) plus any child could identify with one or more of the critters. When my books have included people they are as diverse in race, gender, age, and other characteristics as possible. What do you think are some of the key benefits of children developing their mathematical understanding through maths picturebooks? Stories put a math topic into context which makes it meaningful rather than just being a skill to be learned for no particular reason. 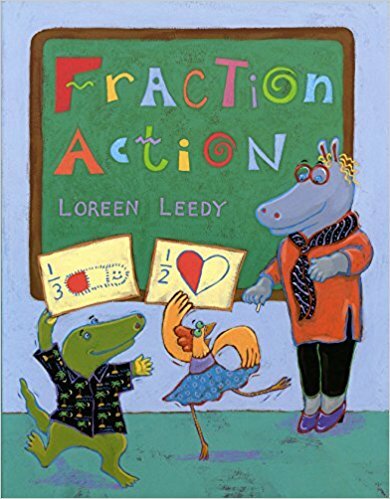 Picture books have engaging action, characters, illustrations, and often humor that can foster a positive attitude about math. Also, the books available are amazingly varied so every child can find plenty of enjoyable options to read. What do you think are some of the key benefits of helping children to develop their mathematical understanding by encouraging them to produce their own maths picturebooks? By writing their own mathematical stories, children become creators, not just readers. They enjoy that role and practice many skills along the way, such as sequencing a plot, writing dialog that moves the story along, drawing pictures that align with the text, and so on. 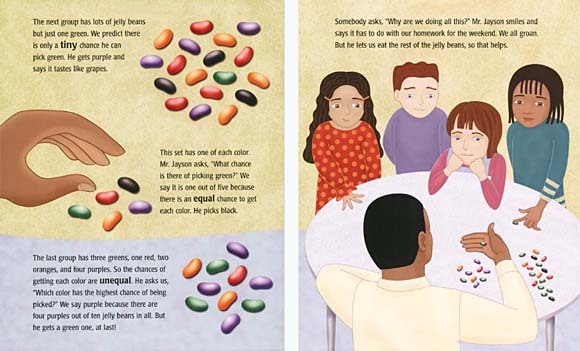 The books can be shared with others, are a memorable project, and emphasize the importance of math in everyday life. For teachers and parents who want to encourage their children to create their own maths picturebooks at school or at home, but are not sure how to guide them through the creative process, what would be your advice? Spend time brainstorming ideas to get the imagination going. Get weird and wacky. Look at a photograph or drawing and find the math in it. Count objects, compare sizes, measure. Act out a math story with toys, then write about it and draw illustrations. A simple concept book can use geometric shapes, numerals, math words, and so on. Make a new version of an existing story or write a sequel. The characters and setting could change, the ending could be different, or events could spin off in a totally new direction. Older children could work with younger ones to create a book. Let the kid(s) lead the way and always be interested and encouraging. For teachers and parents who want to have a go at having their own maths picturebook published by a publisher, what would be your advice? An organization I would suggest is the Society for Children’s Book Writers and Illustrators. It is an international organization with many online resources, conferences, workshops, critique groups, and other information to assist aspiring as well as professional authors and illustrators. "MathsThroughStories.org will save many people a great deal of time. The overall concept promoted here of integrating math with literature, writing, and art makes me a little jealous, because it certainly wasn’t available to me as a student. 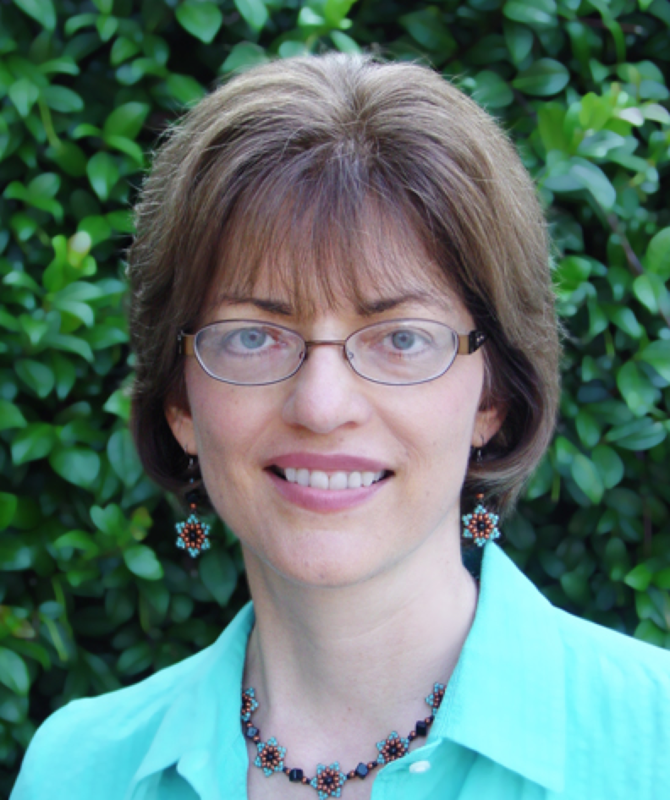 Keep up the great work!​​"
​What do you think of the research that we do and the resources that we provide to teachers and parents on our MathsThroughStories.org website? The MathsThroughStories.org website serves as an excellent guide for parents and educators who want to enhance math education. It’s helpful to have so much in one place - while it can be fun to surf the internet, MathsThroughStories.org will save many people a great deal of time. The overall concept promoted here of integrating math with literature, writing, and art makes me a little jealous, because it certainly wasn’t available to me as a student. Keep up the great work! 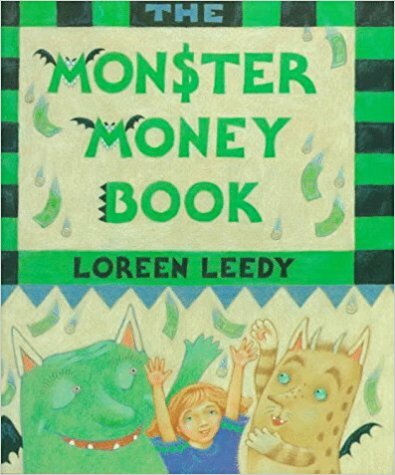 ​​Illustrations copyright © 1996 by Loreen Leedy from 2 x 2 = Boo! 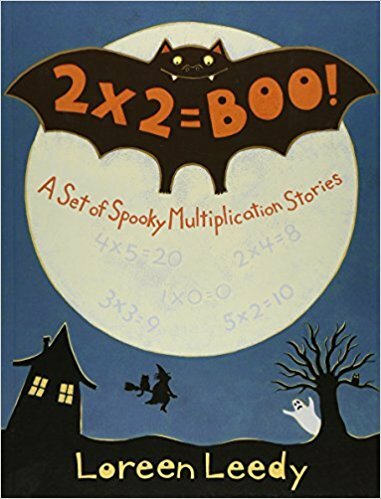 A Set of Spooky Multiplication Stories by Loreen Leedy. Holiday House. All Rights Reserved. 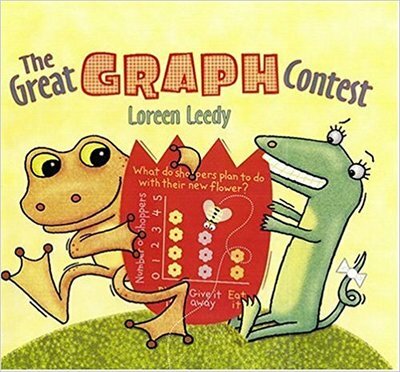 ​​Illustrations copyright © 2006 by Loreen Leedy from The Great Graph Contest by Loreen Leedy. Holiday House. All Rights Reserved. 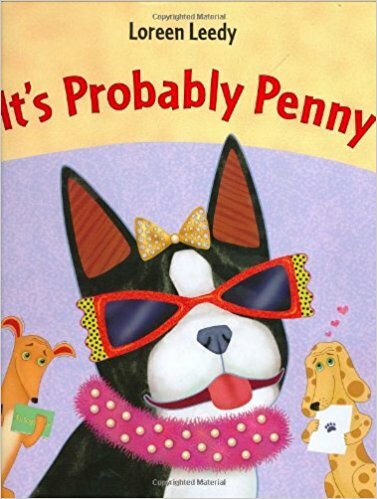 ​​Illustrations copyright © 2007 by Loreen Leedy from It's Probably Penny by Loreen Leedy. Henry Holt & Company. All Rights Reserved. Have comments about this interview or Loreen's books? ​Feel free to leave your comments below.